Green D.C.: Energy Message Wars Play Out In D.C. Influence peddling in our Nation's Capital doesn't just happen behind closed doors in congressional offices. Perhaps the best way to capture the legislative zeitgeist in Washington is to read the full page ads in the local newspapers and the banner ads plastered on bus stops and Metro subway stops around town. So inevitably with a national renewable energy and climate change policy on the agenda of lawmakers, the lobbyists are out in full force -- both defending the energy status quo and pressing for a clean energy future. 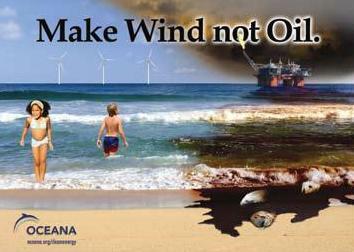 Oceans advocacy organization Oceana placed ads like this one all over Metro stations and trains. The campaign uses the Gulf Coast Oil Disaster as a call to build more offshore wind farms instead of oil rigs. 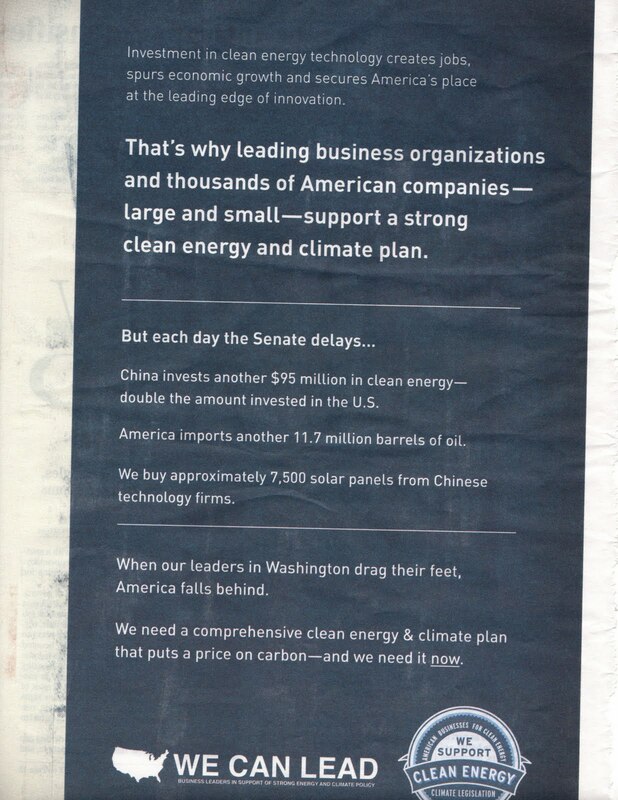 And this full-page ad in Monday's Politico newspaper from a group calling itself American Businesses For Clean Energy advocates for a clean energy and climate plan in the Senate. But the fossil fuel industry is not going down without a fight. 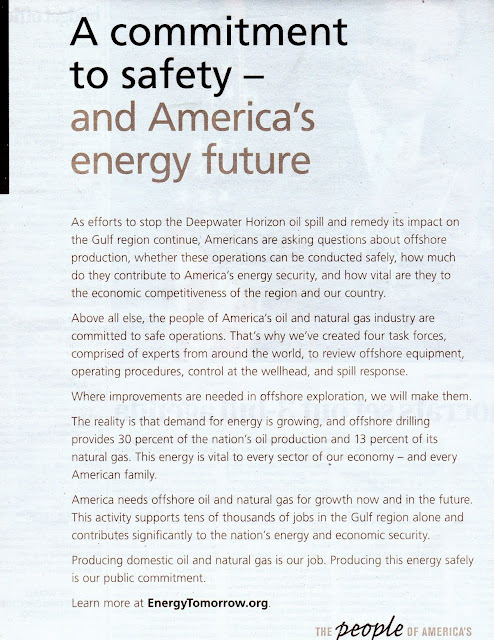 In Wednesday's The Hill newspaper, the American Petroleum Institute bought a full-page ad touting "A commitment to safety -- and American's energy future." Another industry feeling the heat is America's agricultural sector. They want to write corn-based biofuels into the pending climate legislation. So the Corn Farmers Coalition plastered the Capitol South Metro Station -- the stop right next to the Capitol frequented by Representatives and Senators -- with banner ads talking up the importance of corn to the economy. Here is a sample. 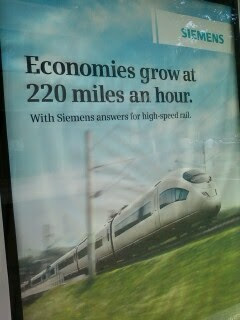 Lastly, with a high speed rail network in the United States ramping up, Siemens wants in on the action. The German engineering giant wants those lucrative contracts to supply their Velaro train to run on America's new high-speed rail corridors. 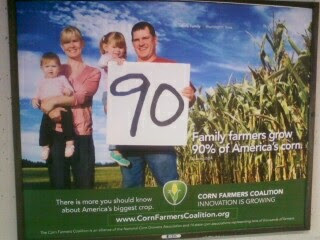 Here is an ad on the side of a bus stop on K Street.